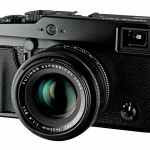 Fujifilm’s fixed lens X100 digital rangefinder camera has been a huge success. Take everything that was awesome about the X100 – great lens, great image quality, hybrid viewfinder, excellent camera design, etc. 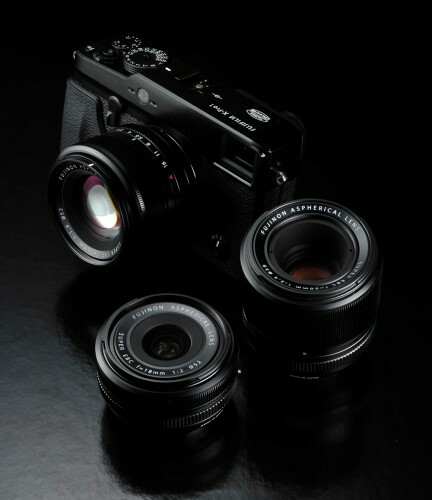 – and put it in a more versatile, interchangeable lens body and you’ve got the new Fujifilm X-Pro1. The X-Pro1 gets a brand-new 16-megapixel APS-C “X-Trans” CMOS sensor (the X100 has a 12-megapixel APS-C CMOS sensor) and a revamped 2nd Generation Hybrid Multi Viewfinder. 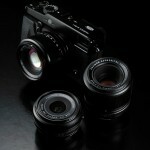 Since the X-Pro1 is an interchangeable lens camera it’s going to need some lenses. Fujifilm is introducing three fast “XF” Fujinon prime lenses to go with it: an 18mm f/2.0 (27mm equiv. ), 35mm f/1.4 (53mm equiv.) and 60mm f/2.4 (90mm equiv.). That essentially covers a 3x zoom range but with fast-aperture prime lens quality. I wrote a short article on the X100 a couple of months ago and said that it looked great but it wasn’t for me. What I wanted was an interchangeable lens X100. What I wanted was the X-Pro1. 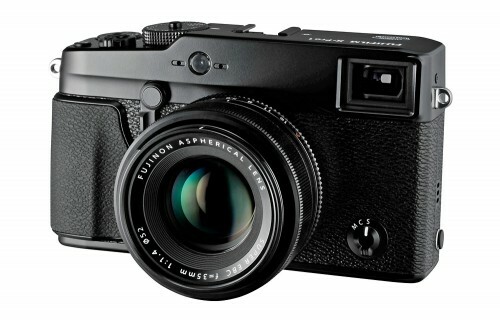 I confess I didn’t really get the X100 when it was announced and I pretty much ignored it for a few months. But when I finally did give it a closer look I was impressed. Actually, it was getting my hands on the Fujifilm X10 that piqued my interest. The X10 was so much more solid and serious than I expected that I knew I had to give the X100 another chance. And it did not disappoint (my Fujifilm X100 hands-on article). The X-Pro1 is also made in Japan and has the same solid, magnesium chassis, synthetic leather-grained cover and great manual controls as the X100. It also has the X100’s coolest feature – the hybrid viewfinder, which allows you to toggle between optical, with fighter pilot-style heads-up display; and live view electronic viewfinder. For me, the hybrid viewfinder was what really set the X100 apart from all other cameras. As sweet as the body, interchangeable lenses and hybrid viewfinder are, the most impressive feature of the X-Pro1 is the new X-Trans CMOS sensor. Fujifilm has always been very innovative with their sensor designs and the X-Trans looks like the most interesting design yet. Traditional digital camera sensors use what’s called a “Bayer Array” – essentially a huge grid of red, green and blue pixels. One of the main problems of that sensor design is the rigidly arranged pixels result in unwanted artifacting called “moiré patterns.” To minimize moiré, softening filters are placed over the sensor requiring photographers to sharpen their photos after the fact. The Fujifilm X-Trans sensor uses a “film-inspired” array of red, green and blue pixels distributed more or less randomly in 6×6-pixel grids. The random, film-like pixel arrangement is supposed to defeat moiré and means that Fujifilm doesn’t have to use a low-pass filter. This allows better light transmission and sharper images. Fujifilm says the X-Trans sensor makes the X-Pro1, “capable of delivering resolution that is superior to other APS-C sensors and equal to even some full frame sensors.” That is a very bold claim. I haven’t seen image samples but I can’t wait to see if the new sensor delivers. The sensor is only one part of the image quality equation. Fujifilm may not be the first name you think of when you think of great lenses but Fujinon medium format lenses have been among the best for decades. In fact, I believe they used to manufacture lenses for Mamiya. So there’s no doubt they can make great lenses. Based on the press release, it looks like they’re very serious about the three new primes being introduced with the X-Pro1. The lens barrels are all metal with a traditional, manual aperture ring. Sharpness and bokeh (out-of-focus image quality) are critical with fast-aperture prime lenses like these and to that effect, the aperture “blades are curved to create a circular image at all aperture settings, while the very edges of each blade are meticulously rounded off rather than simply cut off, which delivers a sharper image.” Further, the X-mount lens mount was designed to put the lens optics as close as possible to the sensor, which Fujifilm says will deliver better edge-to-edge sharpness. Great camera design, a potentially revolutionary sensor, hybrid viewfinder and great lenses – what’s not to love about the Fujifilm X-Pro1? I was poking around the Web looking at other Fujifilm X-Pro1 articles while I worked on this and I saw pro photographer Dan Carr comment that he believed the X-Pro1, “is going to be THE camera to get for 2012.” (Dan Carr’s Fujifilm X-Pro1 story) It’s pretty early to say what the hottest camera of 2012 will be but I have no doubt that the X-Pro1 will be *one of* the cameras to have this year. Last year, even with a fixed lens and a somewhat limited market, the X100 was a hugely popular camera. 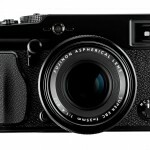 With what looks like a far better sensor and interchangeable lenses, the X-Pro1 should be much, much more popular. At least it deserves to be. I sure hope there is no catch with this one, like a still high price tag (doesn’t have to approach Leica to be high), but if this is in the range of the X-100 then it sure looks like the most exciting offering in digital ever. And personally I don’t care for zooms. Fuji makes one of best glass in the world so this should be a camera for other makers to match. I like fuji cameras and will scope this one out, appreciate the review. I love my Fuji Cameras, even if they are film. I cannot seem to part with the XPan system and 6×9. If the price of the XPro comes in within line I’ll be there. Zoom lenses – no not on a camera of the XPro’s calibre. I’ll do the walking for this digital camera. If only it had a full frame sensor, and a true manual focussing rangefinder it would be far more desirable. For what it is, it is very expensive. Style over substance.